Join the Debate or Ask a Question! Switzerland may not be anywhere near the biggest country in the world, let alone Europe, however it is one of the best places for emigrants to move to due to its stunning mountainous scenery, its excellent standard of living and their high demand for foreign labour in specific areas. 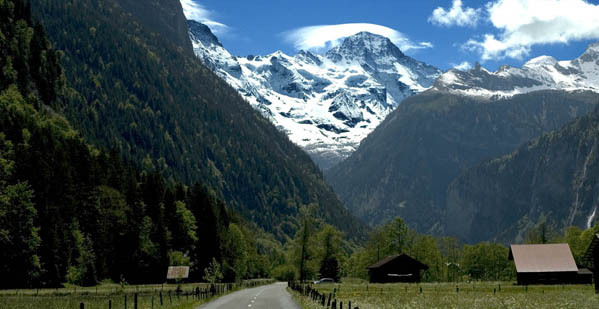 In nominal terms, Switzerland is one of the richest countries in the world by per capita gross domestic product. In 2010, Switzerland had the highest wealth per adult of any country in the world (with $372,692 for each person). Zurich and Geneva have respectively been ranked as the cities with the second and third highest quality of life in the world. In 2010 the World Economic Forum ranked Switzerland as the most competitive country in the world, while ranked by the European Union as Europe's most innovative country by far. Switzerland is unique in the sense that it has four different linguistic and cultural regions: German, French, and Italian along with the Romansh-speaking valleys. The Swiss therefore do not form a nation in the sense of a common ethnic or linguistic identity. The strong sense of belonging to the country is founded on the common historical background, shared values and Alpine symbolism. Switzerland is ranked as having one of the most powerful economies in the world. It is home to several large multinational corporations including Nestlé, Glencore, Hoffman-La-Roche, The Swatch Group to name a few. Switzerland is an extremely well-run, efficient and pleasant country to live in. Their education and healthcare systems are some of the best in the world, partially as a result of very high taxes in the country. The Alpine Mountains travel right the way through this central European nation, giving it some of the most beautiful, breath taking views in the world. A very high percentage of Swiss citizens’s ski or snowboard to some degree. And why wouldn’t they, seeing as they have some of the best slopes in the world right on their doorstep! We have thousands of local members waiting to answer your questions on living and working in Switzerland. Join Worky or Login to Join the Discussion. I´m looking for a job (related in photography or similar) i´m a freelance photographer living in Argentina, i´m Italian-Argentinian citizen with Italian passport, without problems to relocate inmediately. Kind regards.